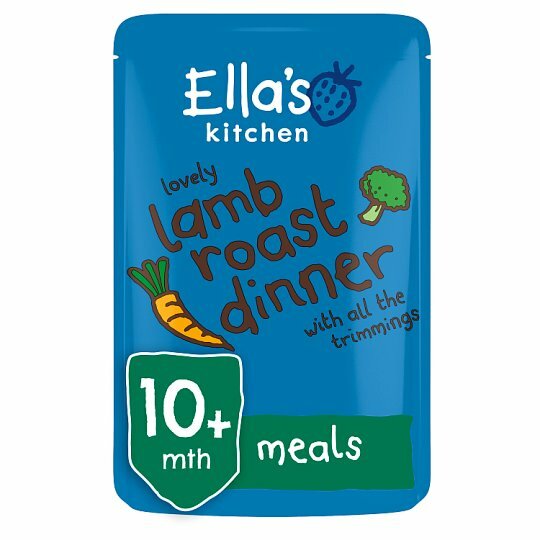 Hello, I'm an organic lamb, potatoes + veg meal - I'm perfectly balanced for growing babies. Who am I for? My ingredients and textures are suitable for babies from 10 months. My flavours are a new journey for tiny taste buds to explore and my lumps and chunks are specifically designed to help your baby to chew. Keep me in a cupboard., Once opened, I can be kept in the fridge for up to 24 hours. Do not reheat me. Using me: To warm me, simply tear off the top of my pouch, stand me in hot water or squeeze me into a saucepan. You can also microwave me - pop me in standing up and whizz me around until warm. Always be careful, hot food can burn. Always test my temperature before feeding me to your baby. Warning: If I am damaged or look inflated with air, do not feed me to your baby and return the damaged pouch to us.